Utah's Democrats fight to hold ground in Utah politics. Not only are there few Democrats in elected office, but when a dispute erupts among the few in prominent positions, it can ensnare a swath of party members. Take, for instance, the early May 2015 spate of news stories involving Democratic Party luminaries Salt Lake County Mayor Ben McAdams, state Rep. Justin Miller, D-Salt Lake City, and former congressional candidate/now political-consultant Donald Dunn. The roots of this lingering scandal can be traced back to one explosive confrontation on Oct. 13, 2014. On that day, the three men met at the offices of the Exoro Group, a public affairs agency in the elegant Crandall building in downtown Salt Lake City. McAdams and Dunn looked upon Miller as a friend and in Dunn's case, his protégé. Miller had worked on both men's campaigns: Dunn's 2002 unsuccessful U.S. congressional bid and McAdams' 2012 mayoral campaign. 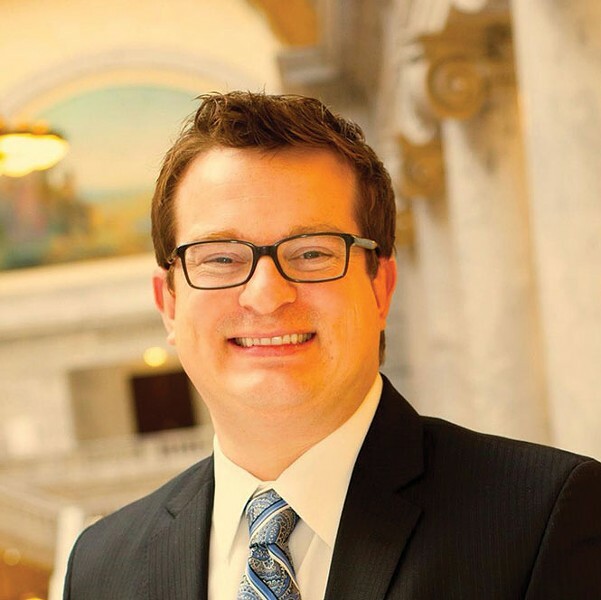 McAdams then appointed Miller to become Salt Lake County associate deputy mayor, a newly created position (Miller went on to be elected to the House in late 2014, and now represents District 40). By the end of the meeting, however, the kind regard both men held for Miller was well on its way to becoming a casualty not so much of politics as bitter allegations of betrayal and criminal wrongdoing, including the alleged embezzlement of nearly $30,000 from McAdams' campaign. McAdams recorded the 20-minute confrontation, a fact that Justin Miller says he was unaware of. "Kind of feels like a set-up," he says with a laugh, during a May 12 phone interview. Subsequent attempts to contact Miller, who told a City Weekly reporter he was leaving for Disneyland the next day, proved unsuccessful. As with many news outlets in town, City Weekly obtained a recording of the conversation through a record request to Salt Lake County. Also available to the news media were 600 pages of documents from Salt Lake County, which revealed McAdams had been in the process of firing Miller just prior to the October 2014 confrontation. It became clear that Miller wasn't just getting a pink slip: McAdams went so far as to report Miller to the Salt Lake City Police Department for allegedly embezzling funds from McAdams' campaign. McAdams' claims drew a vitriolic response from Miller, who then made his own allegations against Salt Lake County. In December 2014, Miller filed a notice of claim alleging inappropriate financial relationships between McAdams, Deputy Mayor Nichole Dunn (spouse of Donald Dunn) and the Exoro Group, a powerful public-affairs firm run by Maura Carabello, a longtime friend of the Dunns, who, in fact, managed Donald Dunn's first congressional campaign in 2000. Both Carabello and Donald Dunn deny there is any truth whatsoever to Miller's claims. The Salt Lake County District Attorney Office reviewed Miller's claims and, in February 2015, the prosecutor's office found them without merit. 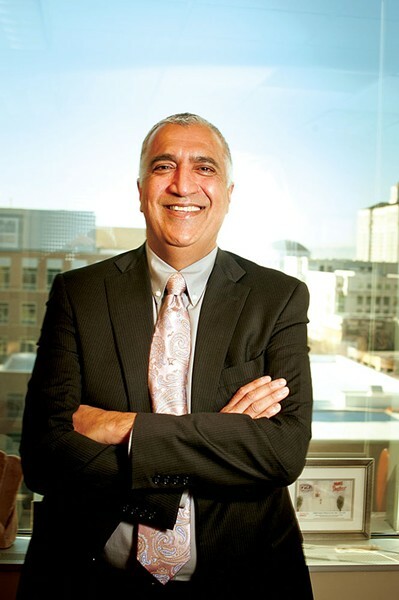 Writing to Miller's attorney, Salt Lake County DA Sim Gill wrote, "Although our investigation is ongoing, to date we have been unable to substantiate the key factual allegations made by Mr. Miller and have discovered myriad lawful bases for the termination of Mr. Miller's at-will employment with Salt Lake County." The emerging scandal has also triggered a criminal investigation by the Salt Lake City Police Department and Davis County Attorney Troy Rawlings, who are looking into Miller's financial involvement with McAdams' campaign. The investigation may yet turn to the Salt Lake County Mayor's office to address Miller's concerns, specious or not (see "Screening for Charges"). It may also shed light on the cozy relationship between the McAdams' campaign and Exoro, a self-described bipartisan public affairs agency (see "Office Space at Exoro"). Ultimately, the public may come to know more about Miller's history, which includes a 2006 plea in abeyance on a shoplifting citation--for which Miller did community service at the Salt Lake County Democratic Party--as well as allegations from a 2010 Salt Lake County Council candidate, similar to those made by McAdams. Emails City Weekly received through a record request show that McAdams, in summer 2014, had become deeply frustrated with Miller's performance as associate deputy mayor. Among other things, McAdams had been surprised when Miller decided to run for Democratic state Rep. Lynn Hemingway's seat when Hemingway stepped down. But most troubling of all for the mayor, according to emails, was that after McAdams had asked Miller to turn over McAdams' campaign finance books to a campaign volunteer, Miller had admitted to him that $10,000 in campaign funds was missing. Dina Blaes, the chief administrative officer at Exoro Group, served as a volunteer on McAdams' team and was taking over the campaign accounting from Miller. In doing so, she told McAdams and Dunn she had discovered irregularities in the mayor's campaign finances. On the audio recording of the October 2014 confrontation, Dunn asked Miller, "Given the fact that you've just admitted $24,388.45 that you know you need to repay the campaign, it leads me to believe what else needs to repaid, what other things [you] have maybe intended to pay back?" Exasperated, McAdams told Miller he wanted either the receipts for the campaign expenditures or he wanted the missing cash, and either way, it all had to add up to zero. Miller, incredulously, then asked for an apology from McAdams "for all these accusations." In a recent phone interview, Miller says that, to the best of his recollection, the reason he asked for an apology was, "I don't feel like I did anything." Miller was terminated at his county job several days later. The initial reasons cited in a termination letter were job-performance-related, but Deputy Mayor Nichole Dunn also included a breach of trust in the final letter. Meanwhile, Miller continued to campaign for the House and, several weeks later, won the District 40 House seat. But if he hoped that his alleged financial misdeeds would be behind him, they eventually came center-stage after McAdams went to the police. 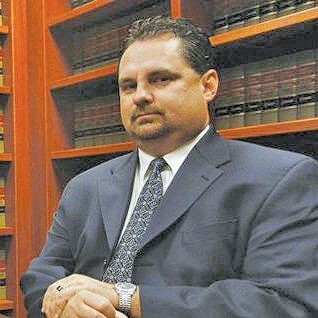 Nowhere in the nearly 600 pages of documents released by Salt Lake County regarding Justin Miller's firing was there a mention of Miller's past plea deal over a retail-theft charge, nor were there claims of his alleged shortchanging of another campaign in the same fashion that McAdams feels he was wronged. What was highlighted was Justin Miller's poor performance as Salt Lake County associate deputy mayor, for which he was let go in October 2014. But Miller's professional relationships weren't always dogged by allegations and acrimony. In 2002, he worked on Donald Dunn's bid for U.S. House. "I was his field director," Miller recalled in a telephone interview. "I looked up to him. He was a mentor and somebody I admired greatly." For all Miller's political ambition, he was capable, at times, of curious lapses of judgment—although, even when it came to a brush with the law, he still managed to find a political method of resolution. Miller was at a Salt Lake Bees baseball game at Franklin Covey field on April 21, 2006, according to a police report City Weekly requested from Salt Lake City Police Department, when he was observed by employees putting on a Bees jersey, tearing off the sales tag, and then going to the cash register and paying for only a $15 hat. Security escorted Miller to the first-aid office, where Miller claimed that he had paid for the jersey but could not provide a receipt. According to the police report, upon further questioning, "Justin acknowledged he had 'accidentally' failed to pay for the jersey." According to a Salt Lake City justice court docket, Miller pleaded guilty to a retail theft class B misdemeanor on May 15, 2006. In lieu of a fine, Judge John Baxter allowed Miller to do community service, which Miller served at the Salt Lake County Democratic Party. The charge was dismissed a year later as part of a plea in abeyance—essentially, an admission of guilt given in exchange for, after a probationary period, the charge being dropped. Miller went on to be elected vice chair of the Salt Lake County Democrats in 2009. He also found employment at the Salt Lake County Mayor's Office as aide to then-County Councilwoman (now state Sen.) Jani Iwamoto, D-Holladay. In 2010, Miller pitched himself as campaign manager to Diane Turner, who was running for Salt Lake County Council. According to Turner, he was good in that role: "He told me everything I wanted to hear," she says. Ego-stroking, it seems, "is what you do in politics," Turner says. "You make them feel good, then they'll run. He did that very well." Yet despite Miller's skill at hand-holding, her professional relationship with Miller did not end well. "I didn't have a positive experience," she says, referring to a $3,000 check that he allegedly wrote himself from the campaign account he had set up for her. County officials informed Miller that his working for both the county and Turner was a conflict of interest. "I had paid him for that first part of my campaign, and he was not able to fulfill that," Turner recalls. He did not return the money despite her asking, and she did not pursue him for it. "It's kind of a 'he said, she said,' tale. Justin is pretty good at not taking responsibility for those things, from my perspective." Mary Bishop ran against Miller for Salt Lake County Democratic Party chair the following year. She recalls that some in the county party questioned Turner's claim "that Justin hadn't done $3,000 worth of work." But make no mistake, she says: Miller "is an able body, he's a good campaign manager and a smart cookie." In politics, "there are those who are in, and those who are out. There is a tendency to believe whoever your friend is," she says. When the news of McAdams' concerns with Miller surfaced, Turner says she felt badly for McAdams, but the allegations did not surprise her. "I think when you're not open and honest with someone, that's usually not just done in a vacuum," she says, referring to Miller. "You have those kinds of dealings with other people, too." Bishop agrees. With regard to Miller keeping Turner's payment for work he didn't do, "it was almost like he convinced himself that he was owed," Bishop says. Given Miller's current problems, "it shows a bit of a pattern is there, just not on that scale," she says. Miller's employment as council aide for Councilwoman Iwamoto did not work out, either. She terminated Miller in December 2010, and has declined to comment, citing Miller's pending litigation against the county. "I had a young family," Miller says about his parting ways with Iwamoto, "and things just ultimately weren't working out." Miller had more success working as a consultant on Ogden Mayor Mike Caldwell's campaign in November 2011. It was Miller's work on that successful campaign that led McAdams to bring Miller on board as campaign manager—as well as the fact that "Justin was recommended to me as a potential campaign manager by people I trust," McAdams says. 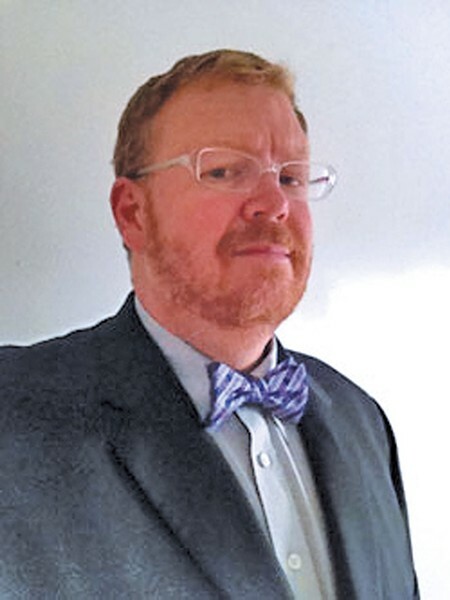 Bryan Schott is managing editor at UtahPolicy.com, a website founded by LaVarr Webb, a former partner in the Exoro Group. Schott says Miller is "a very capable politician, he understands the ins and out. 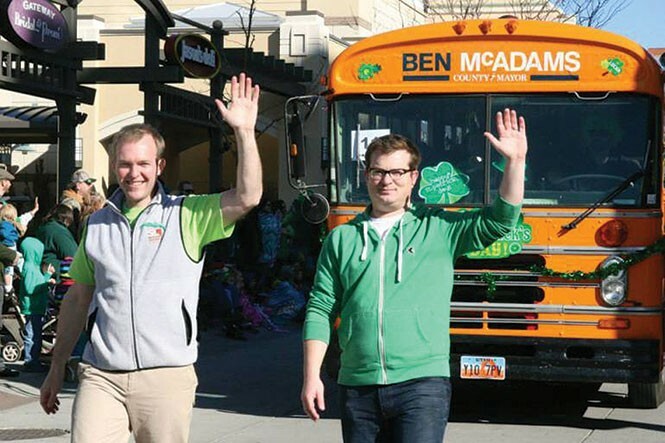 Getting McAdams elected was not an easy task. Salt Lake City is very friendly to Democrats, but the county, overall, is not." 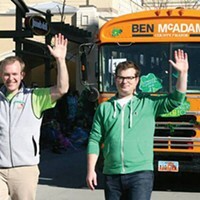 After McAdams got elected, he appointed Miller in January 2013 to the newly created position of associate deputy mayor that came with an $8,115-per-month salary. "My expectation was he would perform community outreach and liaison to stakeholders throughout the community," McAdams says. "He had worked on my campaign, and I had some trust and experience working with him in that capacity and felt his skills were suitable." Miller says his responsibilities were "fairly fluid. I spent a lot of time working with constituent issues, press relations. The last year, the bulk of my work was with the Community Preservation project and shepherding that finally to passage." In February 2014, McAdams learned that Miller, under the auspices of his own consulting business, had been wooing congressional candidate Doug Owens in hopes of being hired to run Owens' campaign against Mia Love. Miller had written to Owens that "time is of the essence on your race, and Mia is pulling in more cash by the day." Owens called McAdams to check Miller's references. McAdams was furious. "I was not comfortable with the associate deputy mayor having a high-profile government job and also managing and consulting on political campaigns. That was not an appearance I wanted someone in my administration to be doing." Needless to say, McAdams did not give Miller a good reference, he says. Miller says his consulting business "never really materialized and got off the ground, unfortunately." When McAdams found out that Miller had taken out a three-year lease for a property using McAdams' campaign funds "to the tune of $800 a month," for his political consultancy, M2 Research and Consulting, he was shocked. "I had not approved the lease, and I wanted it terminated," McAdams says. He adds dryly, "I wasn't aware that I was funding a start-up venture, especially in the off-year when my goal was to buckle down and save money for my election." Emails released by the county depicted deficiencies in Miller's work performance—failing to respond in a timely manner on work issues, for example—which led McAdams to conclude in summer 2014, "that we wanted to part ways with him as a county employee. It was roughly at the same time we also felt it was advisable to terminate his responsibilities with my campaign." In early September 2014, McAdams emailed Miller about $10,000 Miller had admitted to mistakenly appropriating from campaign funds after McAdams requested his campaign books back. He also complained about Miller's moonlighting as a political consultant "contrary to my explicit desires or without my knowledge." Miller emailed back that he understood McAdams' disappointment. He hoped that one day McAdams would find it in his heart to forgive him. "I think of you as a friend and a mentor. I admire no one more." One month later, instead of apologizing, it was Miller who was asking McAdams for an apology for accusing him of malfeasance. Justin Miller landed on his feet after he left Salt Lake County, securing, in November 2014, a position at a union office, AFSCME Local 1004, as executive director. President Ray Wickens says Miller told him about his termination from the county. "Politics [is] at play; you need to wait and see on this one," Wickens says. Miller oversees the local's day-to-day operations and contract negotiations. "He has been fantastic for us," Wickens says. UtahPolicy.com managing editor Bryan Schott can't recall the last time a sitting legislator had criminal charges brought against him, a situation that, as yet, Miller does not face. "If what is being alleged turns out to be true, it paints a picture of someone who likes to play 'push the boundaries of the rules,' play fast and loose." he says. "Sometimes in politics, that works for you, where you don't care what ethical lines you're crossing." Schott views Miller's results as a campaign manager for McAdams, among others, "to have been outstanding." But, in the minority party, where everybody knows everybody, Schott says, "It's not hard to build up a lot of friends. It's also not hard to build up a lot of enemies." Voters may have short memories, Schott continues, but politicians hold grudges for years, if not decades. "In politics, perception is reality. Even that [audio of the confrontation with McAdams] does a ton of damage to [Miller's] reputation, which is a shame because he's a good politician and a good political operative." What Miller's constituents make of his ups and downs, however, is another matter. Indeed perhaps the biggest question Miller faces, other than the outcome of the criminal investigation into his financial dealings, is whether he should step down. "That's up to the members of his own caucus and himself," Schott says. In Utah, there is no recall mechanism for politicians. Former Salt Lake County Mayor Peter Corroon, now chair of the Utah Democratic Party, hopes for a speedy resolution to the issue. "It's not our place to be seeking a resignation," he says. Corroon says the party's position on the Miller/McAdams debacle is that "it's an employment matter between the county and one of its former employees." While memories may still be fresh of indicted former Utah Attorney General John Swallow refusing to step down as his legal situation worsened, for now, Miller has to wait out Davis County's investigation to see if McAdams' allegations will result in charges. Miller says he is not concerned about the scandal impacting his legislative seat. "Even though, personally, for me the trip is difficult—it deals with friends, colleagues and mentors--at the end of the day, I can sleep at night because I feel like I did the right thing." He hopes that notifying the mayor and then the council through his notice of claim will stand him in good stead with the voters. "I hope that my constituents don't view that as a negative. I certainly don't."